Hearing loss is one of the most prevailing ailments in the United States. Roughly 25% of people in the United States between the ages of 55 and 64 suffer from hearing loss, with hearing loss being almost 1 in 2 for those older than 65. 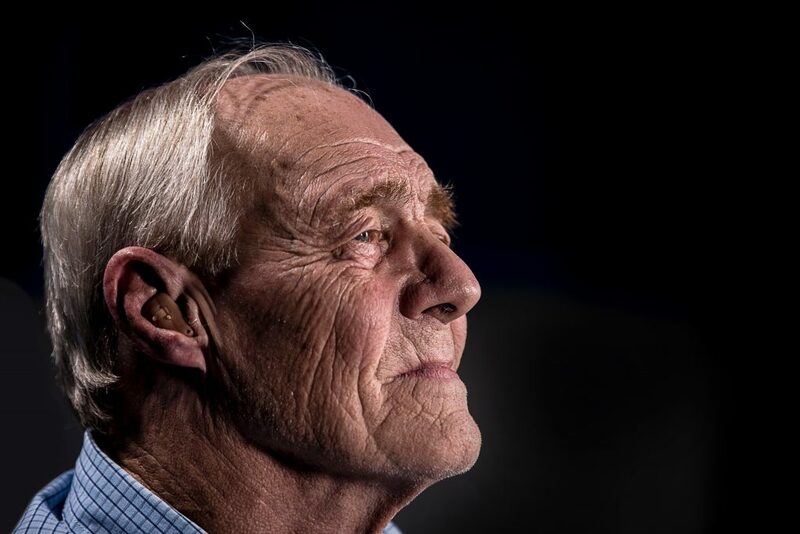 Although hearing loss may be an unfortunate inevitability as we age, there can be other factors that can contribute greatly to the loss of one’s hearing. It is important to be aware of these risk factors, especially as we age, so that we can maintain our hearing for as long as possible. After all, our ability to hear is one of our most precious commodities, and every effort should be made to protect it. Diabetes, as well as hearing loss, are two of America’s leading health concerns. Roughly 30 million people in the U.S. have diabetes, with an estimated 34.5 million people suffering from some form of hearing loss. Research has found that diabetics are twice as likely to suffer from hearing loss as those with normalised sugar levels. Hearing loss is 30% likely to occur in people who have prediabetes – of which there are around 84 million people in the U.S. alone. Although there is still research to be done to fully realize the causal link between hearing loss and diabetes, the prevailing theory is that the high glucose levels in the blood can cause serious harm to inner ear blood vessels, resulting in hearing loss. According to the CDC, research conducted between 2011-2014 determined that one third of all the adults in the United States are obese. Studies have shown that as we become overweight, our risk of developing hearing loss can greatly increase. One of the primary components of our auditory system are the hair cells which pick up sound and translates it into impulses that the brain can understand. Healthy oxygen levels and consistent blood circulation are essential for the survival of these cells, and if we’re obese, a huge strain is put on the wall of our capillaries which makes it difficult to transport oxygen to the hair cells efficiently. If these cells experience damage, they won’t regenerate, and the hearing loss suffered is permanent. In the United States, men and women are most at risk of dying from heart disease than any other complaint – with around 610,000 people at risk of death each year. People who suffer from heart problems may experience conditions which can greatly impact cardiovascular vessels. For example, vessels can become blocked or can narrow, causing poor blood flow and oxygen circulation. Much like the effects of obesity, poor circulation robs the delicate hair cells in your inner ear of healthy oxygen levels, which can cause irreparable harm. Hair cells in the ear cannot regenerate, which means this damage may cause permanent loss of hearing. Certain types of antibiotics, namely aminoglycosides, can result in hearing loss a side-effect use. These types of antibiotics are often a necessity to treat life-threatening bacterial infections. A bacterial infection can cause a number of physical problems, including inner ear inflammation. That can lead to aminoglycoside drugs and antibiotic absorption at an increased rate. This means specific sensory cells can be killed by increased toxicity – particularly when auditory nerves and cochlea are affected. If these types of antibiotics have been prescribed to you by a doctor, an audiologist can help you monitor your hearing to determine if any damage has occurred. When we’re stressed, the adrenaline increase we experience causes us to breathe faster and divert oxygen to our muscles so we can quickly take action. If we’re constantly stressed, the body doesn’t receive a clear signal to return to normal and lower our adrenaline levels. This will significantly affect the flow of oxygen in our bodies. Much like obesity and heart disease, the inability to receive a healthy flow of oxygen to the hairs in our inner ear, can irreparably damage them and lead to permanent hearing loss in adults. It is important to remember that the conditions listed above are risk factors only, and the presence of these conditions in a person does not mean they will suffer from hearing loss. If you or a loved one are diagnosed with one of the aforementioned conditions, make it a habit to have your hearing checked regularly. If you’ve been recommended a hearing aid from your doctor or audiologist to combat your hearing loss, the team at Best Hearing Aid are ready to help. Give us a call on (800) 376-6001 to have a chat and discover what hearing aid is right for you.